Washington Girl Scouts Need a Camp! 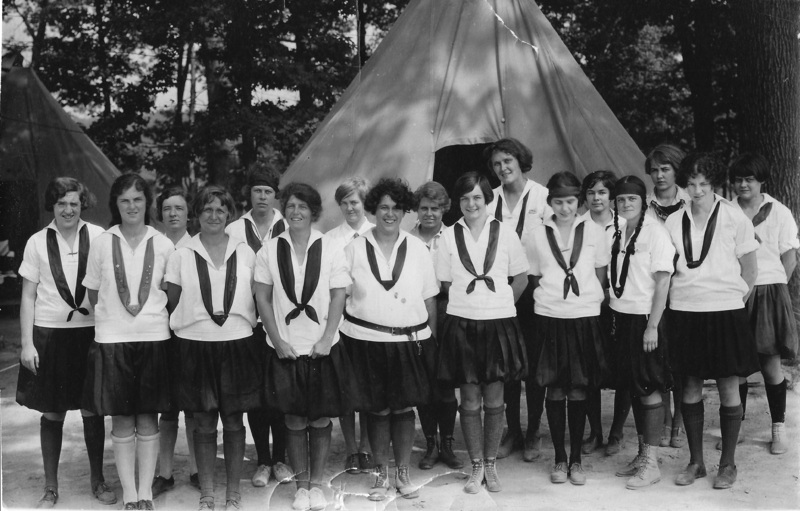 The District of Columbia Girl Scout Council was chartered in 1917, but ten years later, in 1927, Washington’s Girl Scouts still had no camp to call their own. For the past six summers, resident camp had been held at several borrowed sites. The most popular was “Camp Bradley” held adjacent to Edgewood Arsenal (now Aberdeen Proving Ground) in northern Maryland. 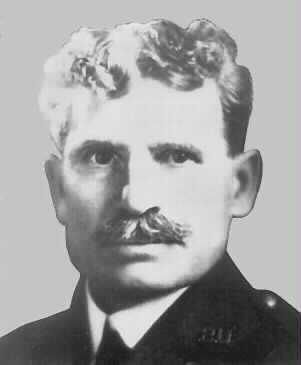 That deal had been arranged by General Amos Fries, chief of the Army’s Chemical Warfare Service, whose eldest daughter Elizabeth was in Washington Troop 8. Fries contacted Joseph H. Bradley, who owned some unused land adjacent to the arsenal and agreed to lend it to the Girl Scouts. Fries dispatched soldiers to set up the camp, complete with wooden boardwalks and even electricity. The Army was considering selling the 66-acre site, which Army Quartermaster General Benjamin Cheatham had valued at $9,750. When the council was granted a license to continue using the camp in November 1927, they leapt into action, hoping for the opportunity to buy Fort Foote, if they could raise enough money. A fund drive was organized for December 2-9. The council needed $55,000 for operating expenses, existing debt, and a resident camp. 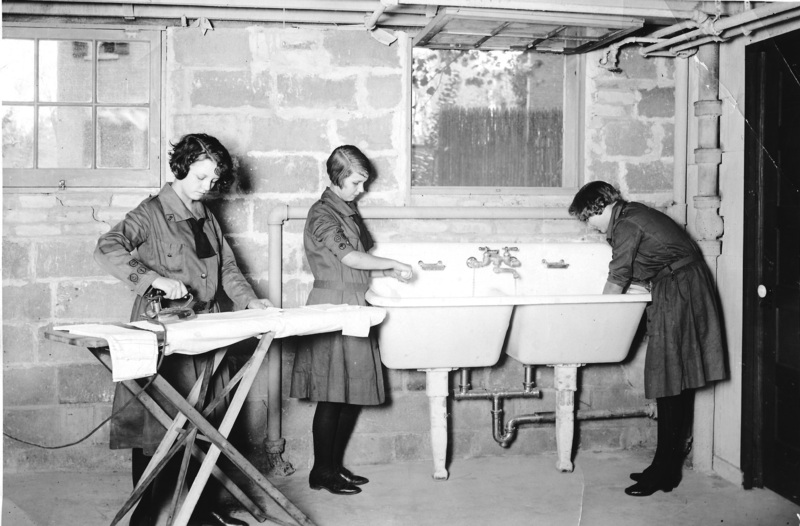 Among other activities, troops demonstrated Girl Scout skills in the windows of a dozen Washington department stores while their leaders stood on the sidewalks outside with collection cups. (See clipping WP 1927 Dec 4). Unfortunately, they only collected about $20,000 and could not make a bid for Fort Foote. 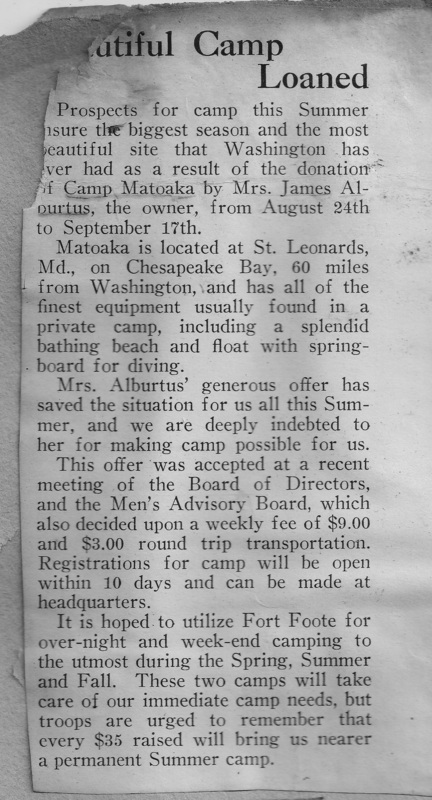 In 1928 girls went to Camp Matoaka in St. Leonards, Maryland, on land loaned by Mrs. James Alburtus. 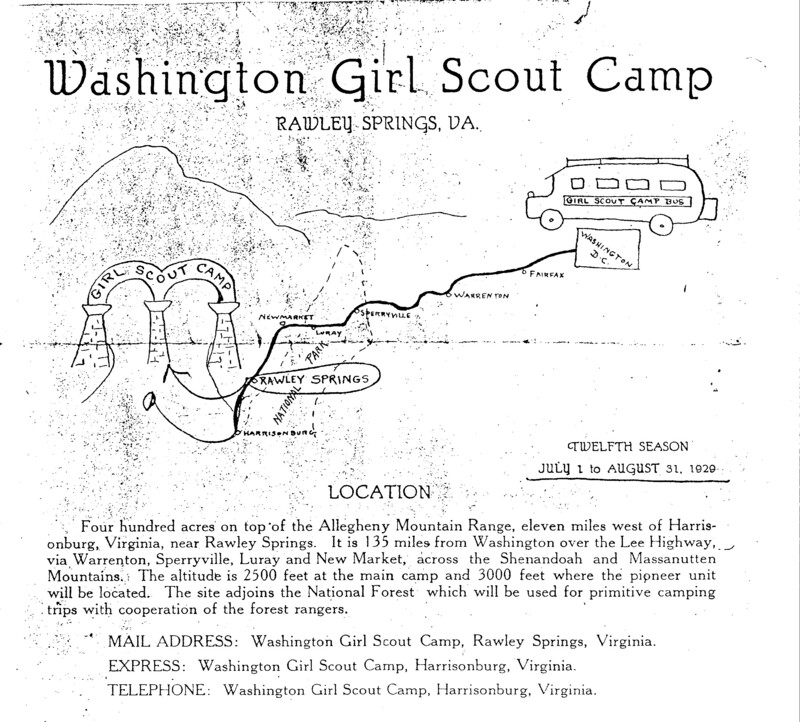 Resident camp moved to Rawley Springs, Virginia, in 1929. This sprawling site in the Allegheny Mountains was near Rapidan, President Herbert Hoover’s mountain getaway. This entry was posted in Camps and tagged Amos Fries, Camp Bradley, Camp Matoaka, Camp May Flather, Fort Foote, General B.F. Cheatham, Girl Scout camps, Girl Scout Council of the Nation's Capital, Girl Scouts, Girl Scouts of the USA, GSCNC, GSUSA, Rawley Springs. Bookmark the permalink.